Thursday November 17th - Four Year Anniversary! Yes! 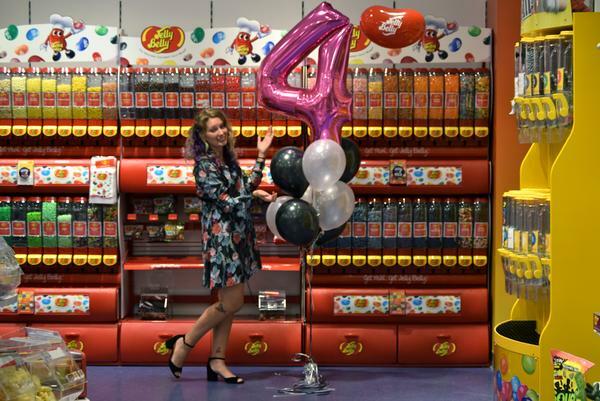 The Shoe Attic turns Four! Can you believe it? I certainly can not. Please join us as we celebrate with discounts, giveaways, and refreshments! We will be in the shop all day from 11am-6pm then starting from 6pm-8pm we will be toasting with a little bubbly and great conversation! Why shop small? For me shopping small is all about the conversation, the amazing people and the great finds! Shopping at small businesses you can find unique items you truly can't find at your big box stores. When you walk in to a small shop or locally owned business you are supporting someone in your community. You get to meet wonderful people and have lovely conversations. They will know and love the products they are selling. Stop by and enjoy discounts and treats! On the first of December we kick off the month with our 12 days of Christmas! Watch each day on our social media to see which items have been marked down. We will select a certain shoe style or clothing brand or even jewelry to go on sale just in time for the holidays! After enjoying the Christmas Parade downtown stop by the shop for cookies and some spiked, or not, apple cider! This year we want to shake things up and have our customers help decorate for the holidays. We will have a Christmas Ornament Decorating table, then you ornaments will brighten the shop! Sunday January 1st - Moving Day! The Shoe Attic will be closing the doors on Prince George Street and will be moving over to Merchant Square! With months of anticipation we will officially be celebrating our move in to Merchant Square! Stop by for refreshments, some bubbly, giveaways, and to celebrate!! This happens to be the weekend of the Winters Blue Jazz Festival hosted by Culture Fix, I highly recommend you order tickets! Come down enjoy some fantastic music and local beer, then stop by the shop for some shopping and celebrating! I hope you all can make it out to enjoy some fun with us at The Shoe Attic!